Having a plumber you can trust is very important for renters, homeowners, and business owners. Otherwise, you are never sure who to call when something goes wrong. 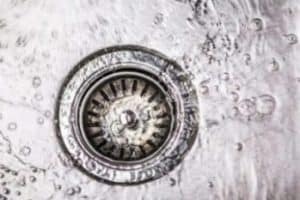 You may locate a good Richland Hills plumber on short notice, but it is equally likely that you will either have to pay too much or end up with a plumbing contractor who does not do the quality of work you would hope for and expect. You need a plumber you can reach out to for all of your plumbing concerns, and one that you feel confident in working with. Fortunately, you can work with HEB Plumbing & Sprinkler-Kathlyn Smith for all of your plumbing needs in the Richland Hills area. 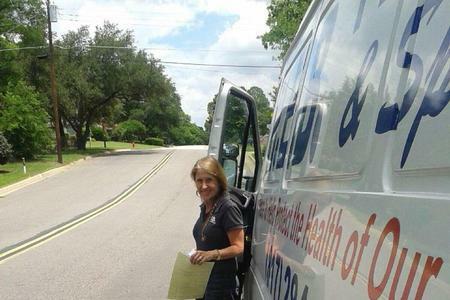 HEB Plumbing & Sprinkler-Kathlyn Smith has been providing everything their clients need for more than 35 years, so you know you can get plumbing service that is reliable and professional for your Richland Hills home or business. No plumbing problem is too big or too small to call HEB Plumbing & Sprinkler and get the help you need. Whether you rent, own, or are operating a business, getting in touch with HEB Plumbing & Sprinkler to solve your Richland Hills plumbing issues is a great way to have peace of mind. HEB Plumbing & Sprinkler is locally owned, so you can work with people who know the area and understand any unique plumbing needs that may be common there. You also know that HEB Plumbing & Sprinkler is invested in the community, since the people who work in your local area usually live there, as well. Homeowners, tenants, and businesses can all get superior quality plumbing services in Richland Hills and the surrounding area from HEB Plumbing & Sprinkler and its dedicated staff of plumbing professionals. There is no need to settle for plumbers who may not be invested in the local area when you can choose a company that is dedicated to helping you solve your local plumbing problems. No matter what plumbing issue you are experiencing, HEB Plumbing & Sprinkler can help. 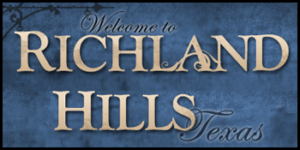 With a wide variety of options to choose from, you can select the kind of service you need to ensure your Richland Hills plumbing concerns are handled correctly. From minor repairs to major issues, and from adding an outside faucet to replumbing an entire house, HEB Plumbing & Sprinkler is the company to call. Routine maintenance is no problem at all, and installation of appliances, repairs, and more are all handled by HEB Plumbing & Sprinkler. Ready to get started on your plumbing project? Need a repair or have a maintenance concern? Get in touch with HEB Plumbing & Sprinkler today.